When Victor Zilberman was 13 years old, he “just wanted to wrestle.” He joined a wrestling club in Moldova, then part of the former Soviet Union. Since then, his wrestling career has taken him across the world. He has also been the head coach of the Concordia Stingers wrestling team for the past 40 years. In 1972, Zilberman moved from the Soviet Union to Canada to become a wrestling coach at Lakehead University in Thunder Bay, Ont. At the time, he was still competing professionally. 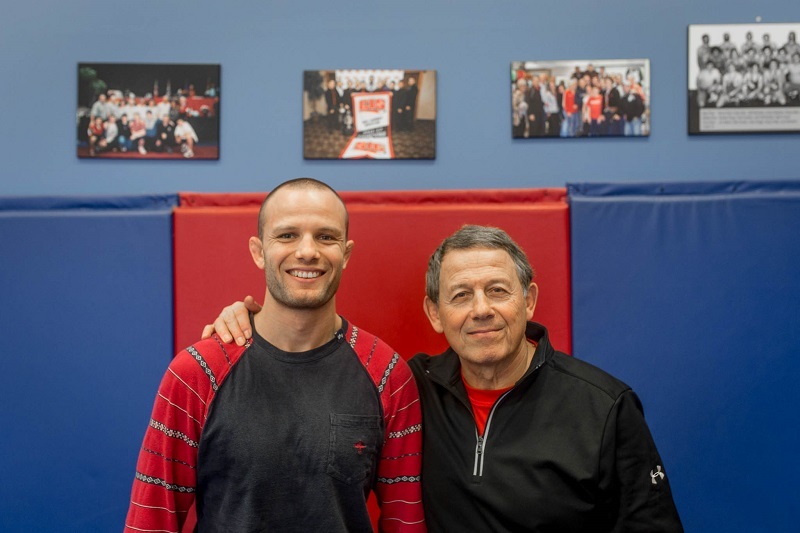 Four years later, Zilberman moved to Quebec to help coach the provincial wrestling program. From there, he volunteered as a coach for Concordia and McGill before deciding to focus on the Stingers program in 1977. He is now one of the premier wrestling coaches in the country. “I chose Concordia because it was a friendlier staff, more welcoming,” Zilberman said. “I had friends who were working in the athletic department. It was very encouraging.” He has now been a coach at Concordia for four decades, and he takes pride in having been around for so long. Zilberman boasts a unique resume filled with championships. He won a bronze medal at the 1974 World Championships for Israel, and a silver medal at the 1978 Commonwealth Games for Canada. As a coach, he has led the Concordia Stingers wrestling team to six national championships as well as 65 individual national championship gold medals. Zilberman helped develop five world championship medalists, and he has coached the Canadian national team in four Olympic Games. It seems you can’t look at the wrestling community in Montreal, or in Canada, without finding Zilberman’s name somewhere in the mix. Dmytriy Gershanov wrestles with Abbas Mohammadian at Victor Zilberman’s wrestling club. Photo by Kirubel Mehari. As we spoke, Zilberman never took his eyes off the wrestlers training at the Montreal Wrestling Club at the Reinitz Wrestling Centre. He pointed to the pictures that line the walls—all national champions, world champions and Olympians he has trained. His knowledge and education is what differentiates him from other coaches across the country, he said. Zilberman has a degree in physical education from Lakehead University, a master’s in comparative education from McGill, a graduate diploma in sports administration from Concordia and a PhD in education from the Université de Montréal. Zilberman was in the spotlight recently. Ultimate Fighting Championship (UFC) fighter Georges St-Pierre, who trained at Zilberman’s club, gave the coach his championship belt after defeating Michael Bisping in UFC 217. Despite the gift, Zilberman refuses to take responsibility for St-Pierre’s success. This season, Zilberman has high hopes for the Concordia Stingers wrestling team. He’s expecting the Stingers to compete for a national championship, and to remain one of the top squads in U Sports.